Spring is nearly here. This plant regenerated 13 weeks over the Winter and has been flowering in natural light for 6 weeks now. 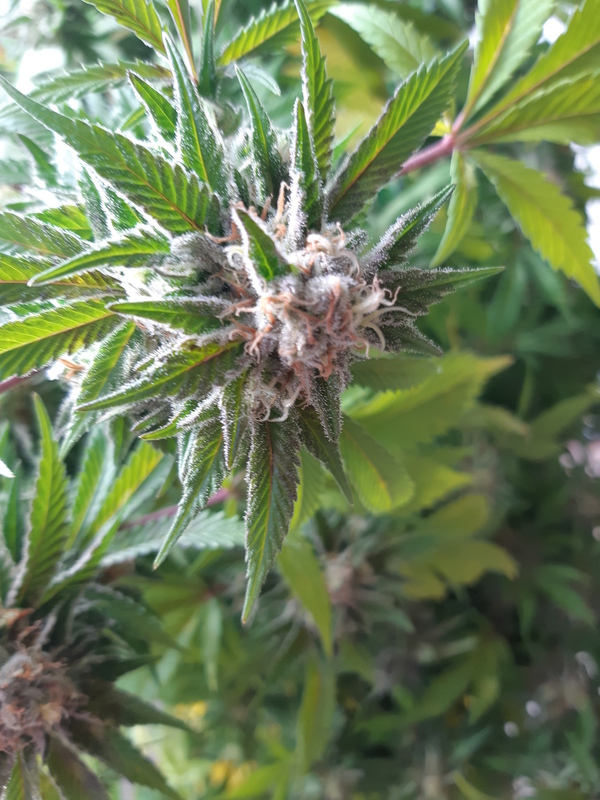 Looking great @Stoner I had started this thread below awhile back never have tried yet but that regenerated plant looks awesome! If ya have some tips and tricks to share feel free to add to the below thread ! 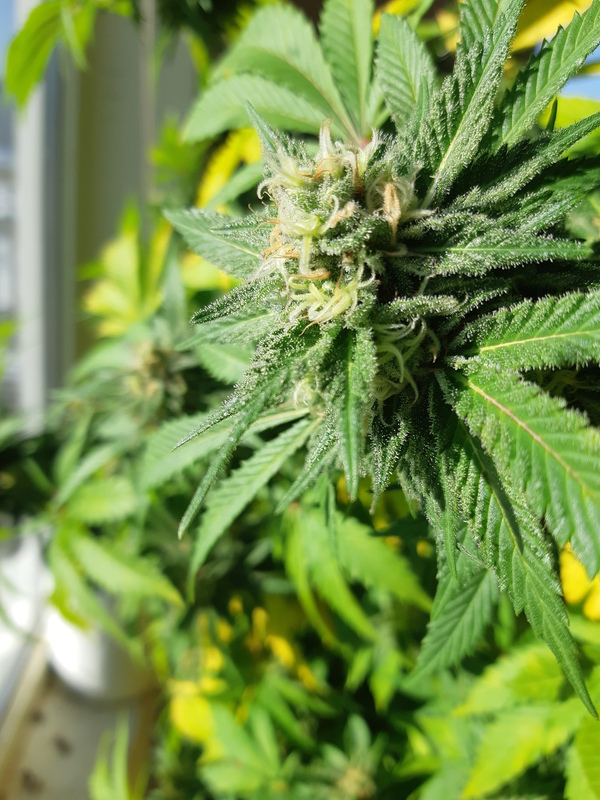 Since I'm a relatively new to growing cannabis, I was wondering if anyone has read and employed the the practices outlined in the book" Cannabis Regeneration" by JB Haze? 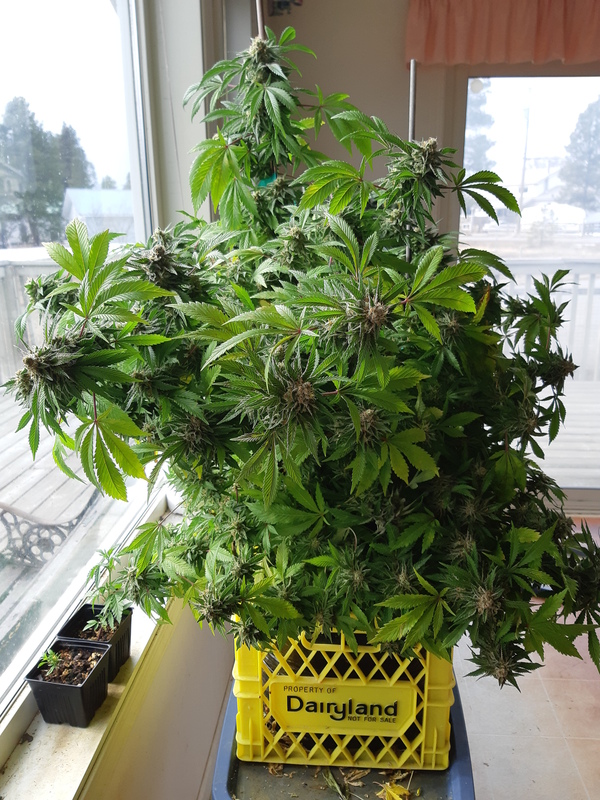 A synopsis of the book is being able to get multiple harvest out of a plant leaving all but a couple bud sites, main stump and growing out to maturity for a second.. third harvest? 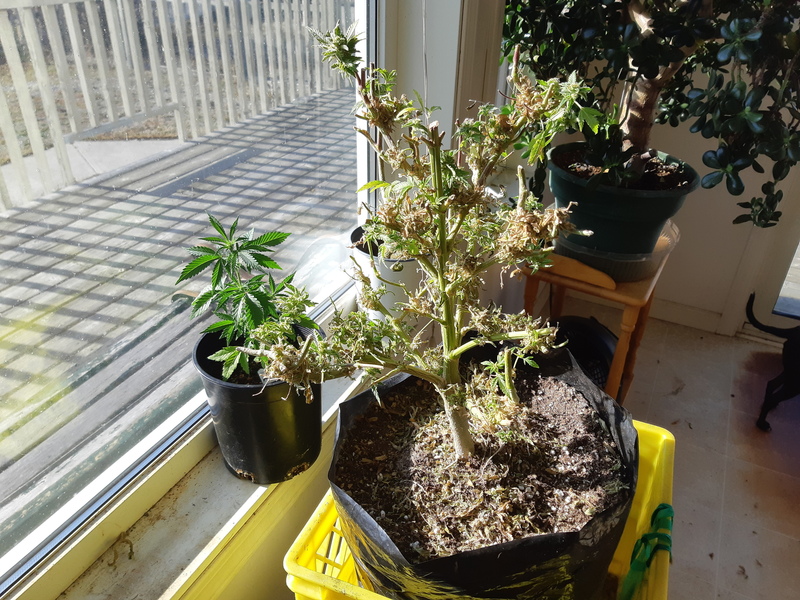 Regeneration begins at the lower buds, I decided to cut the plant back further to keep it manageable through the Winter. In the book mentioned above it states it that the cut points (trunk) should be capped with a wax and then taped from what I recall . That makes sense, left to itself the top couple inches shrivel up. Dressing the cut would insure there no chance for rot to set in. 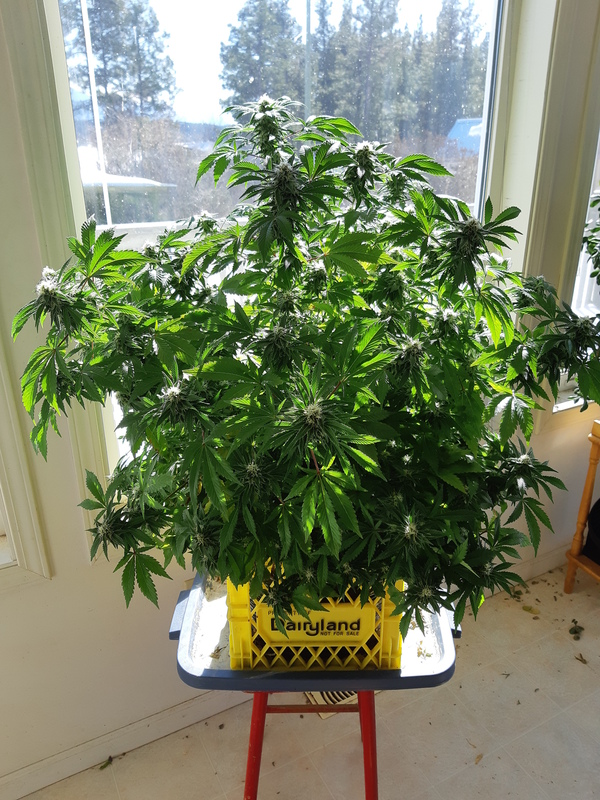 I harvest my plant in November, under a 100W LED for the Winter. From there it had 13 weeks to get established and growing. 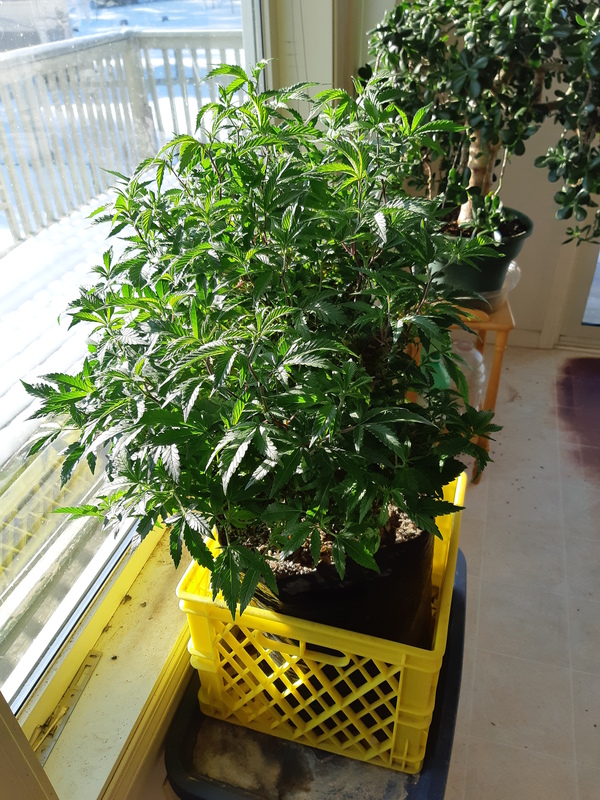 Moved to a Sunny window in February, be 7 weeks on the Equinox. Another week or two of good light will finish them up. Day 50 with Apollo 11. Leaves are changing fast, the countdown is on. Gave it a good flushing and a final measure of nutes. Spring arrives, the temps are headed for 14C today. The second regeneration doing great after 17 weeks. 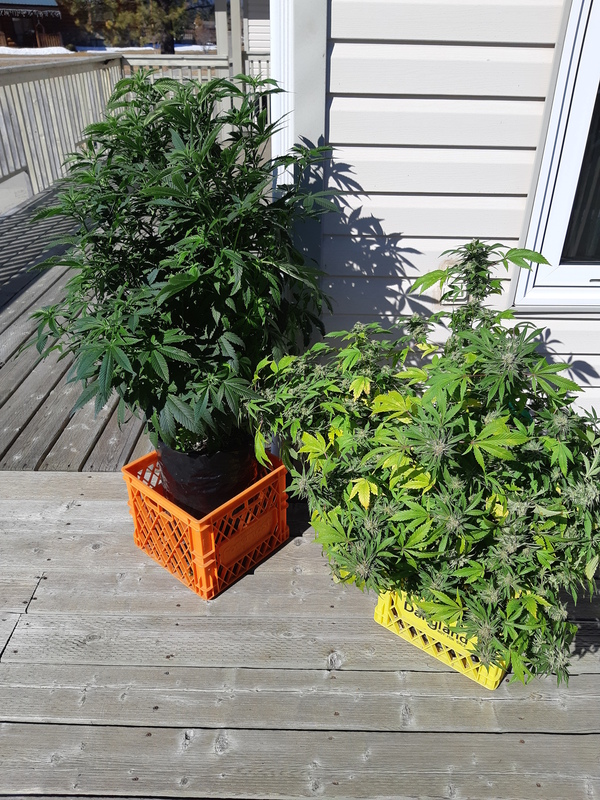 The flowering plant has another week or so to go. Apollo 11, 8 weeks of flowering. This is the Sunny side view. Plan on staggering the harvest, but the clock is running on the season change. At some point, regeneration will being, again. 8 Week trim. Tons of popcorn buds from the lower levels in the trim. 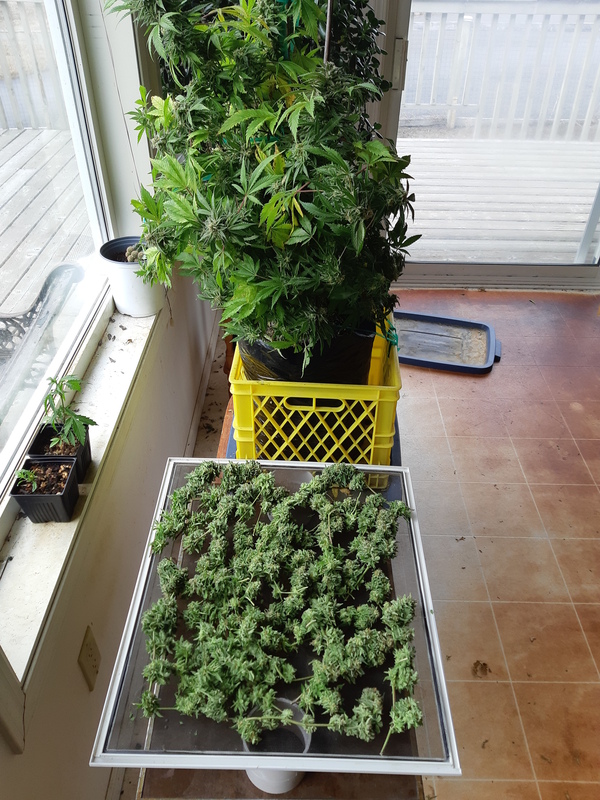 Finished the harvest at 65 days. Trimmed back, ready for another season in the Sun. 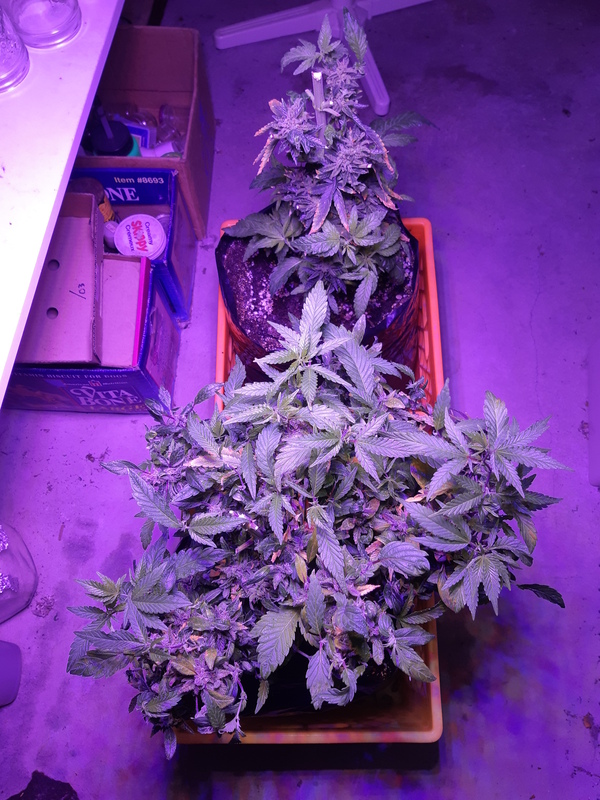 Note the clone in flower behind. It was put into natural light on the Equinox and is now clearly flowering. It will serve to monitor the progress of regeneration. This will be a hella nice plant again come Fall. Tripped into flowering on April 1. As it happens, it will be a birthday bouquet. 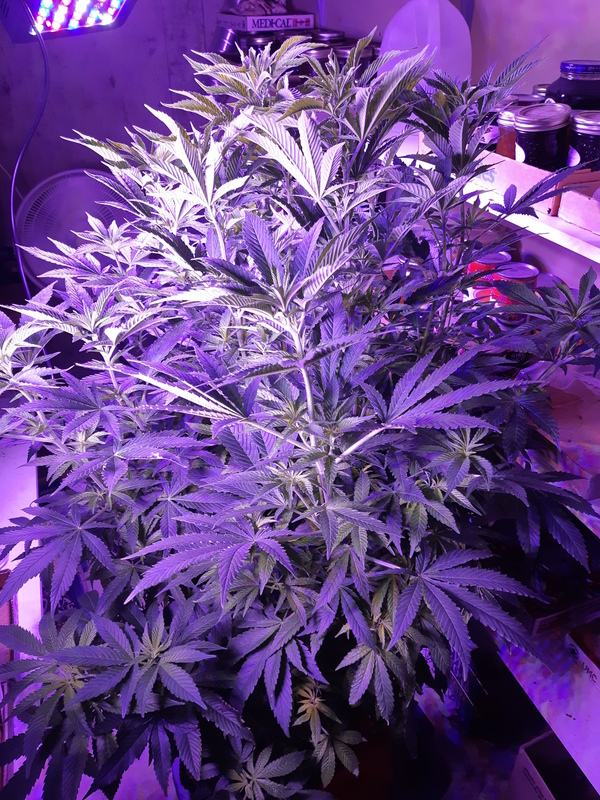 The natural light is moving towards vegetative growth, my plan is to flower under the LED for the first couple weeks. By that time the outdoor temperatures will be favorable and I will move them into the dark shed to control the hours. 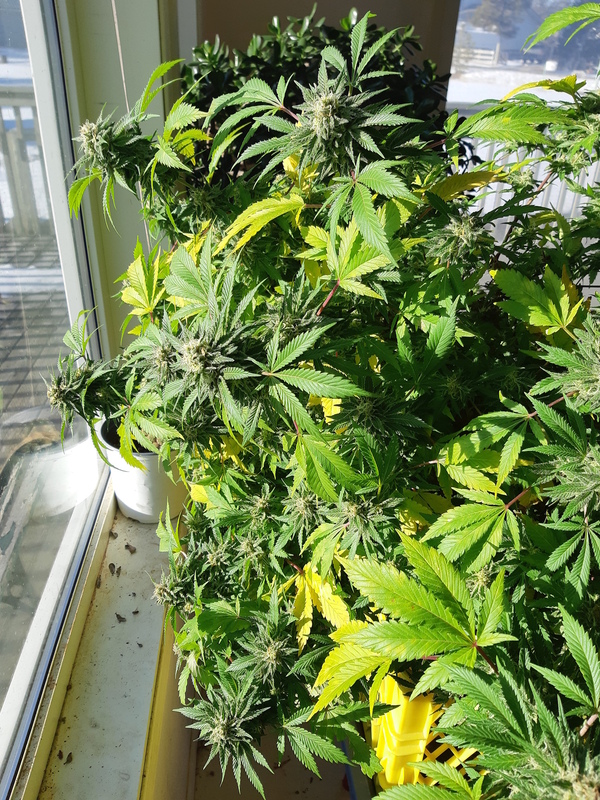 This plant will get a ton of intense Sunlight while flowering. Plans are firming up nicely. I have aquired cutting of a very well regarded local strain, Black Diamond. Front row, One has taken to vigorous growth, the other is still fighting me. In the rear, a cutting of my Apollo 11 will be contributed to the local collection. The other vigorous cutting is Purple Candy. That brings my plant count to 4, assuming I keep up the effort on the tardy Black Diamond. Plan B, I have been gifted some Purple Kush seeds. Great pics and descriptions of your reveg procedure! Your purple candy caught my eye got a room full of it in veg atm! Any tips or tricks about it appreciated first time growing it! 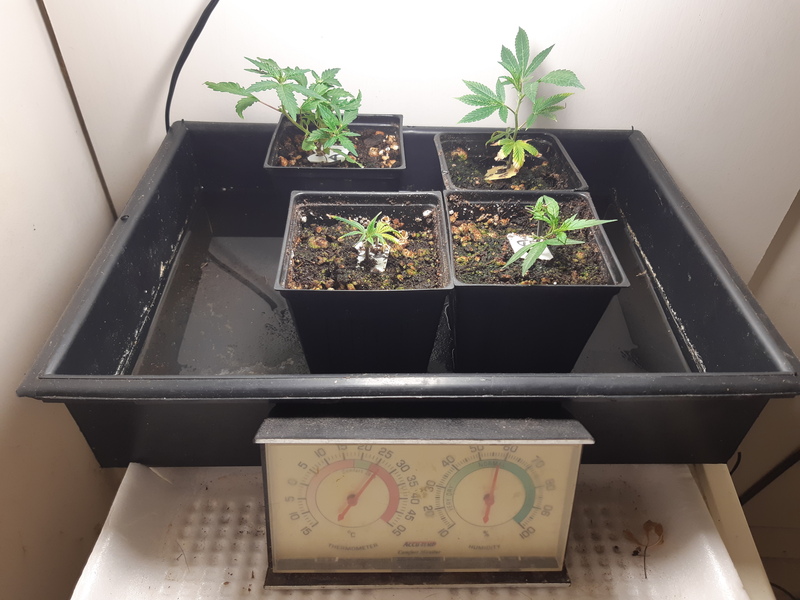 So far there looking good and growing steady no complaints yet! My first experience with Purple Candy. I ordered a 7g sample pack to check it out. If it matches up, going to be very pleased. Stoner...i had a Black diamond kush a few yrs ago....remember it well...tite nugs and a taste/smell to die for..it was like smoking perfume/incense . i have 2 beans i found in it.one of these days i will grow them. your girls lQQk great!